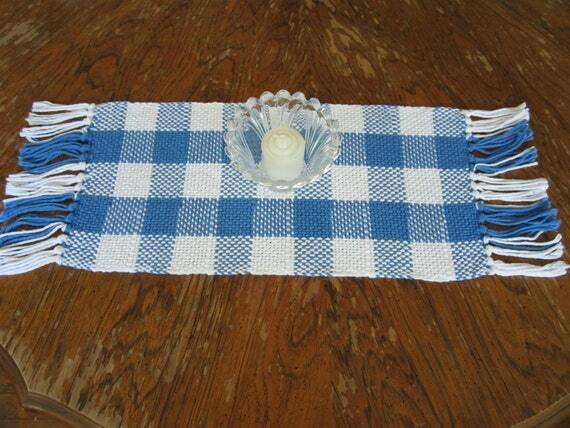 This table runner is hand woven in a lovely blue and white plaid. And it is such a great size, with the woven body being about 8 inches wide by 15 and a half inches long. [it is a total of about 22 inches long when you including the fringe] It is long enough that it makes for a great center piece runner, but not so long that it would get in the way. And it is made from 100% USA grown cotton yarn that is just lovely. With it's shades of blueberry blue and crisp white it is a great piece to go for any season. It would be wonderful for using on your dining table or coffee table. Or anywhere else you would like a touch of country charm. It would be a great gift for yourself or for someone you know who loves hand made treasures. 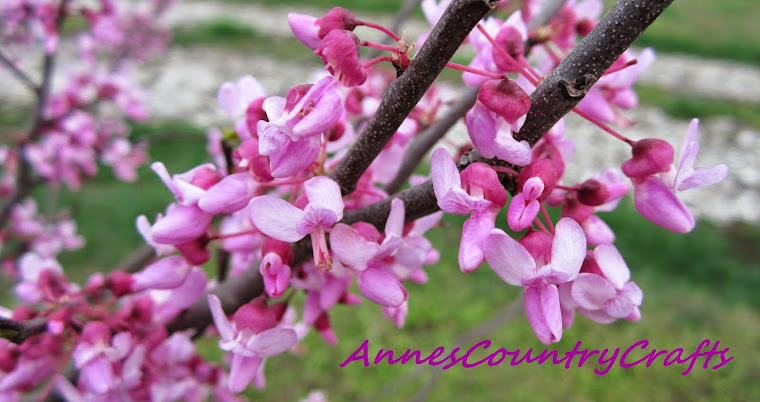 For more pictures and info click here to see my listing on Etsy.